I Love Dino: Thank you, Little Kimba! Surprise! Surprise! Look what arrived from Brazil! A Rag Doll for Ashley and a Smiley Stuffie for me! Enclosed was a sweet note from Little Kimba and also an explanation about Emilia the rag doll. Emilia is as big as Ashley. "This is Emilia. 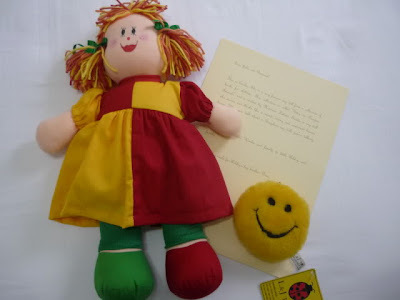 She is a very famous rag doll from a collection of books for children. This collection is called "Sitio do Picapau Amarelo" and is written by Monteiro Lobato. 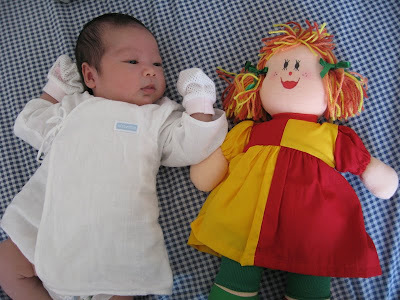 Emilia is rag doll who moves and thinks like a smart, daring and irreverent human being. When you talk about a Brazilian rag doll, you're talking about Emilia." Thank you so much Kimba and Family for your special gifts! We love them!!! What a nice post! You made the little presents look more beautiful. ^^ Thank You! Emilia is beautiful! It is nice to know her story! ohh Dino! 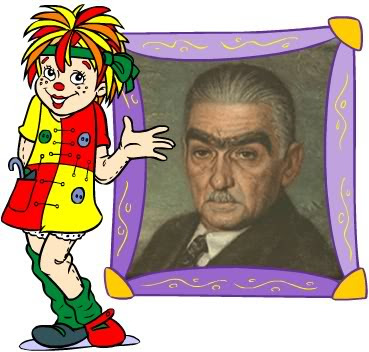 I used to whatch that show here in Portugal! Augie and Ti rock their way to Taipei!! !